If you have ever thought to yourself that there must be a more durable and lasting way to roof our homes, you’re not alone. This is because most traditional roofing materials come from nature, and natural materials break down with exposure to the elements. They simply are not appropriate for providing your home’s ultimate protection – the roof. When installed new, most roofs only add back the value that was lost due to the old roof being aged. And, as the new roof starts to age, that added value quickly diminishes. 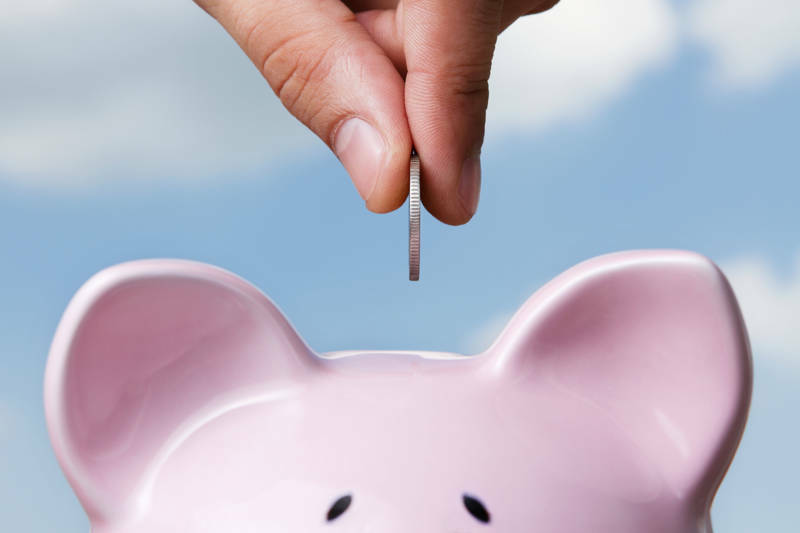 Traditional roofing options do very little to truly increase your home’s value. Let’s take a look at the most common traditional roofing options. 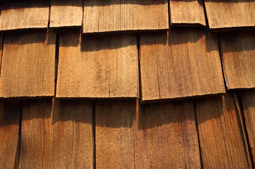 “Roofing Shingles,” as most people call them, are the most common roofing material used in North America. They are also known as being a very short term roofing choice. In fact, other areas of the world rarely use these types of shingles because they do not hold up in the wet-dry, cold-hot weather cycle. The manufacturers of roofing shingles have made many attempts to improve the quality of their products over the years. They have changed the content of the base mat as well as the various binders and fillers. 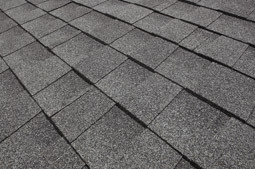 At the end of the day, though, standard shingles consist of small granules glued to a base mat. As the adhesive agents dry out and break down, moisture reaches the base mat. This moisture causes the base mat to deteriorate, and it gets even worse over time as granules start to wear away. Once the base mat is exposed to moisture, leaks will begin to occur. Shingles loosen, crack, and curl. Your roof becomes very vulnerable to severe and even moderate storms. This is what causes thousands upon thousands of homeowners each year to replace their shingle roofs that are only a few years old. Additionally, the fillers and binders in asphalt, fiberglass, and composition shingles support biological growth. This leads to streaking and staining on the roof. The shingles are actually supporting the growth of algae. As this algae creeps across the roof, the roof becomes ugly and old-looking. This detracts from the value and beauty of the home. Due to their extreme weight, shingle roofs also absorb and hold heat, making your air conditioner work harder in warm weather. A life expectancy of 12 – 17 years is common with roofing shingles, though in some cases, with areas subject to harsh weather, they fail even sooner. Another type of roofing material that wears out and has to be repeatedly replaced is wood. 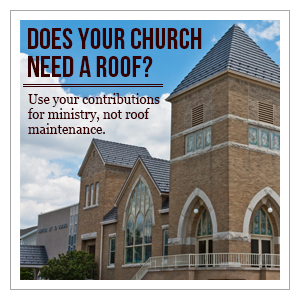 A roof made from wood requires maintenance and ongoing expense. And, despite even the best maintenance, a wood roof still ages and detracts from the home’s beauty and value. Wood simply does not provide ongoing protection from the elements. It absorbs water each time it rains and that water causes the wood to swell. Then it dries out and cracks occur. The wood splits and warps. All of this deterioration, despite the beauty of a wood roof, just causes it to need eventual replacement and also leaves your home vulnerable to whatever Mother Nature dishes out. One of the scariest risks with a wood roof, though, is fire. Little can be more dangerous on top of a home than dried-out wood. Whether the fire starts from a wildfire, a nearby bonfire, or your own backyard barbecue, wood roofs are little more than tinder to an angry fire. A life expectancy of 15 – 25 years is common with a wood roof. Clay and concrete tiles are used as roofing in some areas of North America. With their primary use in very dry and hot climates such as the southwest United States, these products face particular challenges in wet climates as well as in climates subject to freezing temperatures. Many tiles are extremely porous, allowing them to absorb water. This water causes the tile to fracture, crack, and deteriorate. Tile roofs are installed over underlayments that are designed to carry water away when it gets through the tile. However, as the tiles age and crack, more and more water passes through them, eventually wearing out the underlayment. 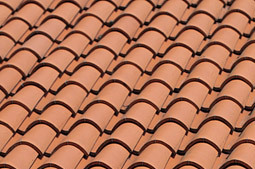 Tile roofs are also prone to supporting biological growth, meaning streaks and stains. Periodic power washing is required to keep the roof looking good. And, each time it is cleaned, more cracks may occur, speeding up the eventual failure of the roof system. The weight of tile roofs is well known and can be as much as 12 pounds per square foot. This creates a great risk of collapse in the event of seismic activity or interior fires. A life expectancy of 10 – 20 years is common with tile roofs.